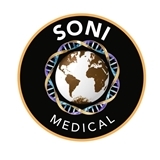 Prabhat Soni, MD (Brooklyn) - Book Appointment Online! I researched Dr. Prabhat Soni & liked what I found, so I booked an appointment. I've been to his office three times now within the last five months, but it's been other doctors who have treated me. I don't believe Dr. Soni was even in the office any of these three various days. However, I was satisfied with the two other doctors whom I saw.